Several years ago, when I was just starting out online, I did a lot of writing for money. I loved it, because it was such a reliable, real way of making some money. And I did it on the side, just after work or on the weekends. This writing habit helped me start my own blog and make over $10k every single month, so it was one of the best things I ever did. Once you get regular clients, they’re happy to pay top dollar for the content you produce. I used to get paid $15-20 USD for a 500 word article which only took me around 30-40 minutes to write. Today I am bringing you the best parts of that awesome strategy, with which you can make over $50 USD every single day, easily. Best of all, there is no need to have your own website. It’s simple, quick, and very reliable. And if you do this for a while, you’ll be able to scale up to well over $100 USD a day. Bonus: Download a Free Course that will show you how to make $100-$500 a day in your spare time using your “hidden” skills – simple skills that you don’t even know you have. The power of this strategy is in iWriter which is an amazing service for both writers and clients. It makes it very easy for you to find work. Let’s talk about iWriter for a second. Anyone who needs online content can go to iWriter and order their content. For example, a travel blog, or even a blog like this one can go to iWriter and order human-written content. After that job is posted, it will be available for all registered authors to view and to fulfil. As an author, you can simply accept the article and start writing. There is no need to apply and wait for the buyer to approve you. You simply pick up the available article and start writing. This is the huge benefit of the iWriter site. How much can you earn with iWriter? Your earnings are 81% of what the buyer pays for the article. The buyer will pay the price which will depend on the preferred level of experience of the author. So as a new writer, when you register, you will be a “standard” level author. After you have worked on iWriter for a while, you will progress through the ranks and become a “Premium” and then”Elite” and eventually “Elite Plus”. The awarded ranks depend on the jobs fulfilled and the quality of those jobs. Not bad at all, considering it should take you no more than 20 minutes to create a standard 500-word article, right? 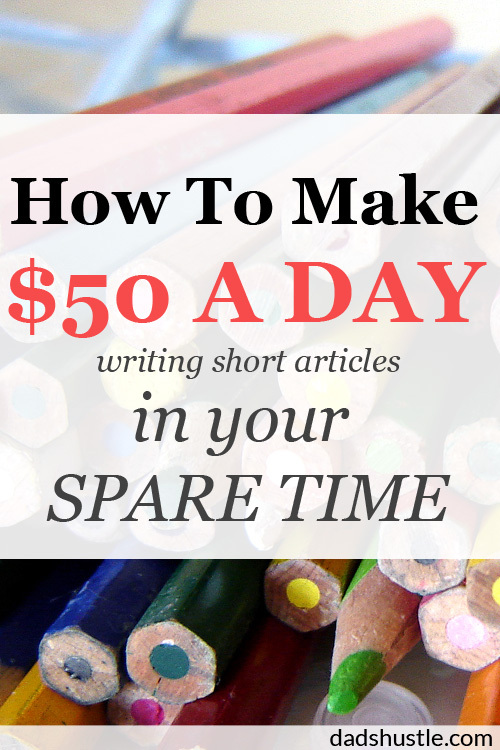 Even if it takes you 30 minutes, it’s still a minimum of $5 an hour when you first start out as a Standard writer. Then you can make around $9 minimum an hour when you get “Premium” which doesn’t take long at all. Ok so the first you’ll need to do is to register as a writer. Just go here to register. You’ll need to fill out basic information, all pretty standard stuff. As a beginner author, you’ll only be able to apply for “standard” jobs. So your goal would be to complete a lot of these jobs with great quality so you can progress through the ranks and become a “premium” author as quickly as you can. Make sure you always read the detailed instructions. Also, you’ll have only 3 hours to deliver the job once you’ve picked it up. So be ready to start work that same moment. After you’ve understood the assignment, it’s time to get moving. For example, your assignment might be to write about “Best Food For Dogs” in a friendly tone, 500 words. What you’ll want to do is to find 1-2 great articles in a friendly tone about dog foods. You can use ezinearticles.com or simply do a Google and have a quick browse through the results. Copy and paste several opening paragraphs from one article into your Notepad / scratchpad. Then copy and paste several closing paragraphs from another source. You can use even more sources – as many as you want. You’ve done your research. Now it’s time to reproduce that content in your own words. We definitely can’t just submit this duplicate content. So we will use a speech recognition tool to quickly produce the content. Most people are pretty slow at typing (myself included). And that is usually the major problem with writing articles – it just takes way too long. The good news is that we can generally speak relatively quicker. At least, quicker than we can type. I have found a great free service which can convert your speech to text very reliably. It’s called Google Web Speech. And it’s by far the best voice recognition tool that I’ve ever come across. So what you’ll want to do is to use this voice recognition tool to quickly produce the content. It’s much much quicker than typing and this way you’ll be able to deliver the articles much quicker and ultimately get paid more per hour. See how easy it is? You just convey the same meaning in your own words. After you’ve finished recording your content, you’ll just need to quickly go over it and correct any issues like punctuation etc. And then you’re good to go and can submit the article. The buyer will then assess if your article is of good quality. All buyers are reasonable and you should have no issues having your work accepted. From here on, you pretty much just have to accumulate more work with good ratings and start getting paid more. It’s as simple as that. So what did you guys think? Did you like this strategy? Have any of you tried writing before? Would love to know your experience and what you think. Thanks for reading! 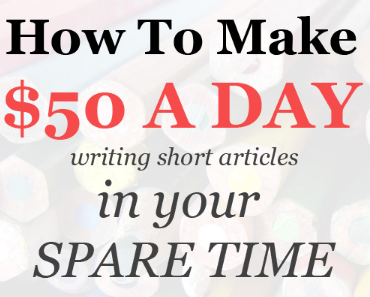 6 replies to "How To Make $50+ A Day Writing Short Articles In Your Spare Time"
How do they give you the money??? How many articles do you usually have to write before you start to move up in the ranks?